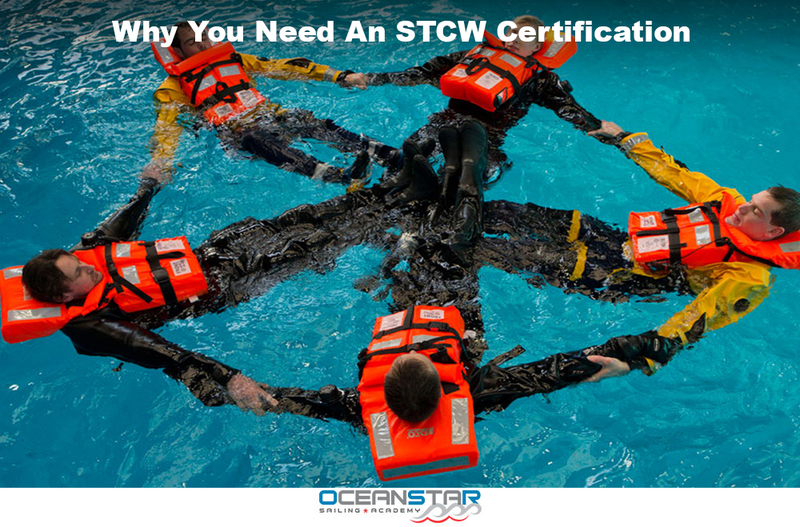 One of the most common questions we get is “Why do I need An STCW certification?” The STCW basic training certification is the minimum legal qualification required to work on any commercial vessel at sea. If you’re planning on making a career out of yachting you’ll need to complete your STCW training. The STCW (Standards of Training, Certification and Watchkeeping for Seafarers) is an internationally recognised certification standard required by all seafarers working on commercial vessels above 24 metres (79 feet) in length. This includes crew working on commercial ships, ferries, cruise ships and superyachts. STCW certification is also recommended for those looking for work on private yachts, as owners, captains and/or management companies will rarely hire crew without it. Finally, where is the best institution to do your STCW training? You can get your STCW certification in any country, however, make sure it is an accredited school such as Ocean Star Sailing Academy if doing your course in STCW in South Africa. Ocean Star Sailing Academy are an RYA SAS Accredited Training facility based in Cape Town at the V&A Waterfront.